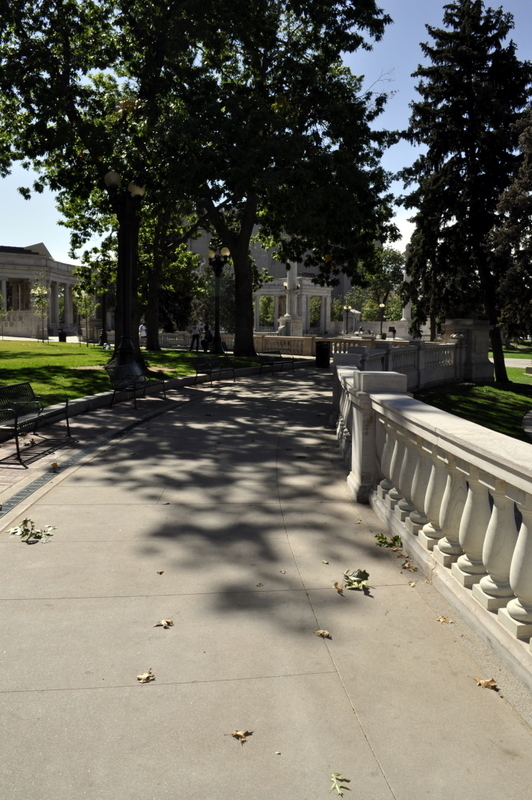 Typically, when the City of Denver comes to mind, we think of the beautiful views of the mountains, the efficient business network, the vibrant social scene, and a good baseball game or two. 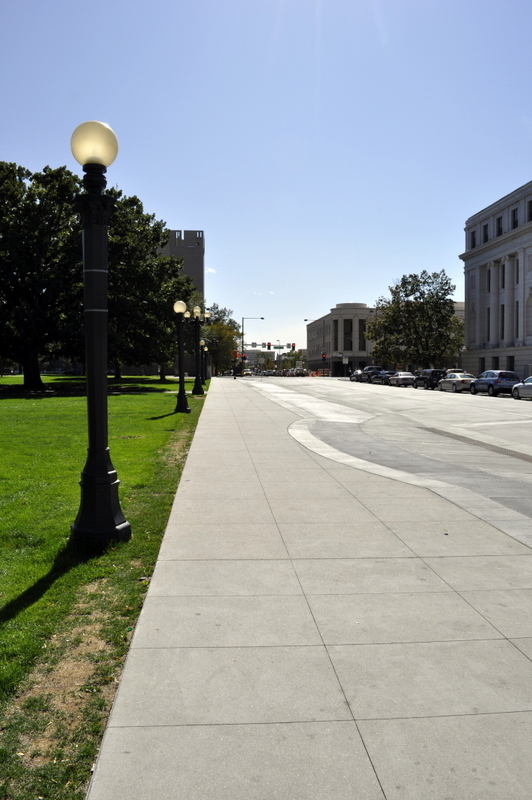 Seldom do we think of sand as a noteworthy element on Denver’s land-locked streets. 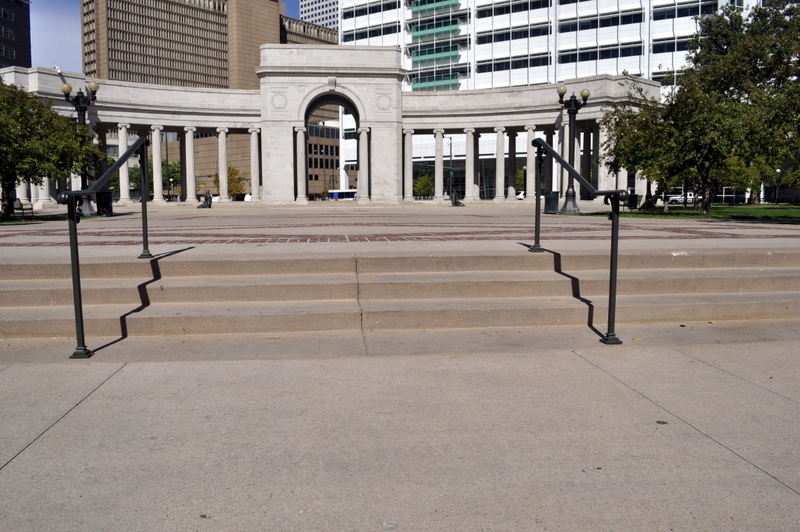 As you drive through downtown Denver, you will discover many exciting projects emerging throughout the city. Design considerations and limited budgets confront every project we see in this ever-grown city. 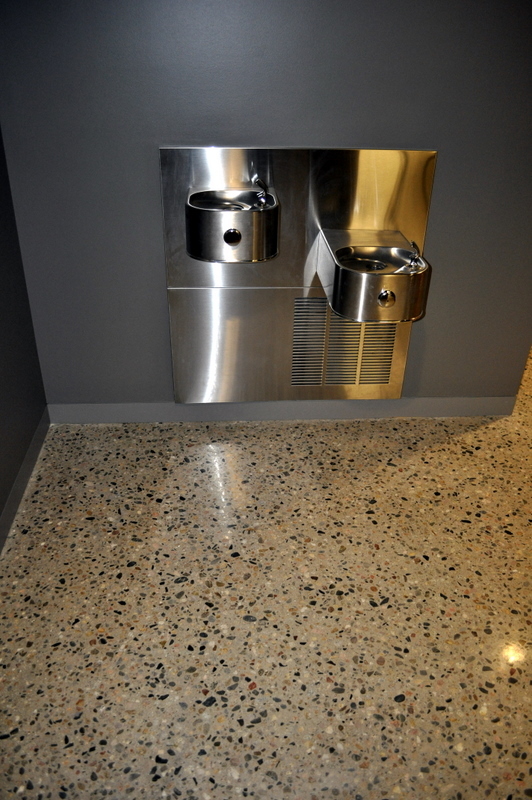 Hence, Colorado Hardscapes’ Sandscape® Texture emerged as the paving of choice for a budget-friendly upgraded concrete finish. 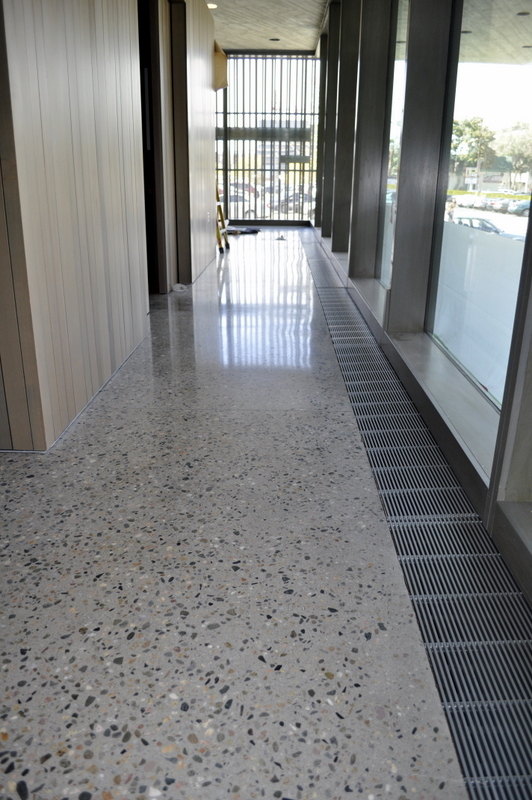 We may not be by an ocean, but Sandscape paves the way for an economical, aesthetic, and practical future. 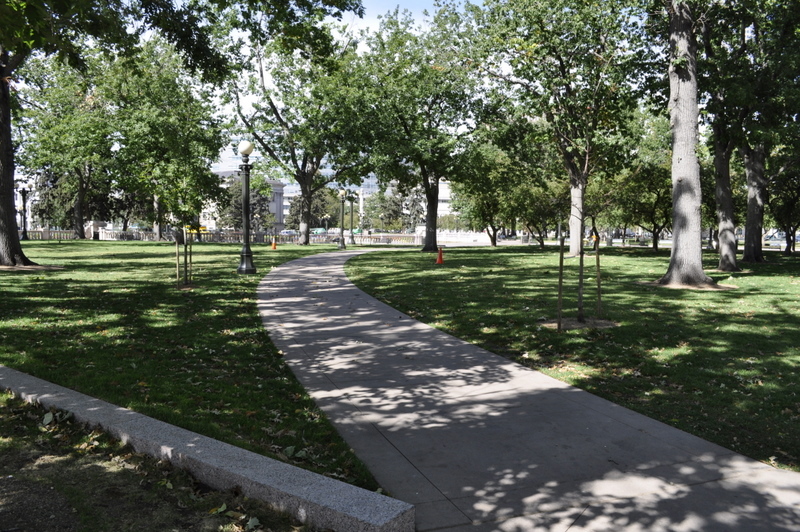 Civic Center Park sits as a hub for Denver and experienced many improvements this summer, including the widening and upgrading of sidewalks throughout the park. 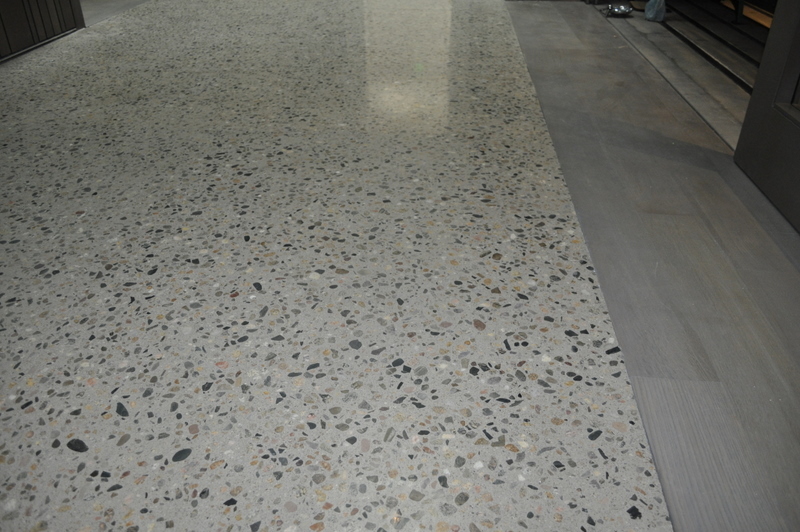 Colorado Hardscapes installed colored Sandscape Texture along the east end of the park, playing the role as the key specialty flatwork contractor on this project. 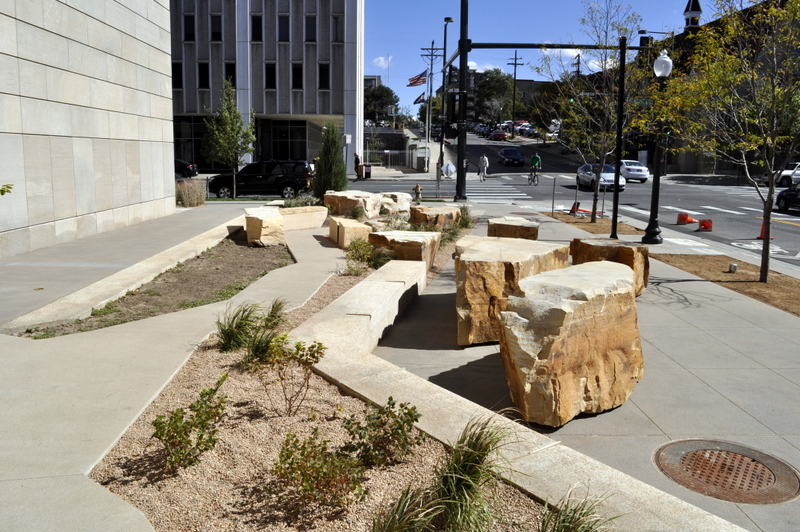 Mundus Bishop Design appreciated both the quality of work and attention to detail Colorado Hardscapes’ crews demonstrated. 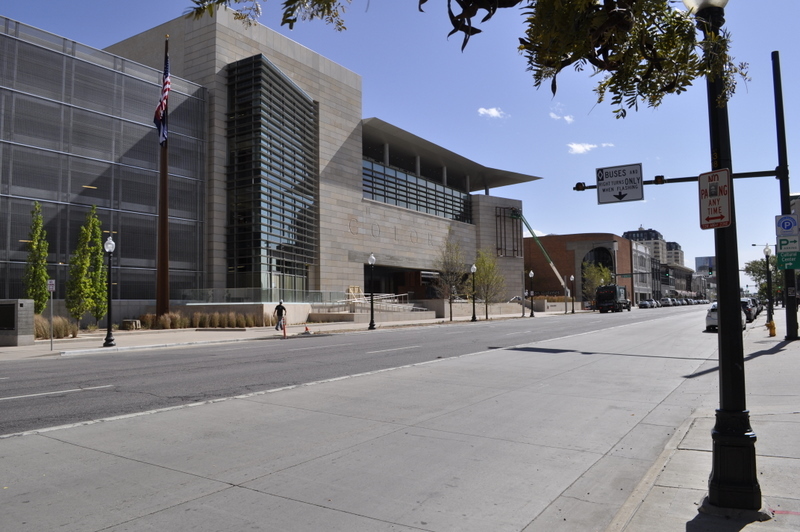 History Colorado nears completion and Sandscape, both the Capitol Hill Sandscape and the Navajo White Sandscape; complements the natural stone on the building and site walls better than imagined. 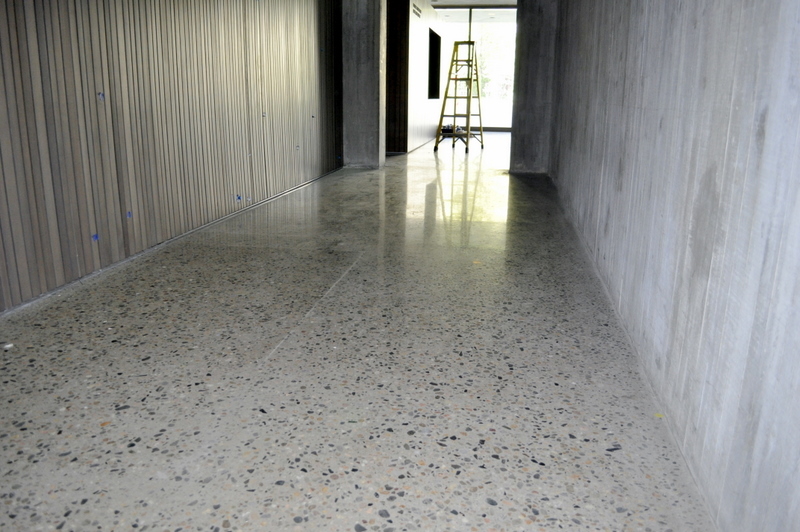 Tryba Architects and Studio Insite put a lot of thought and effort into getting the right selections. 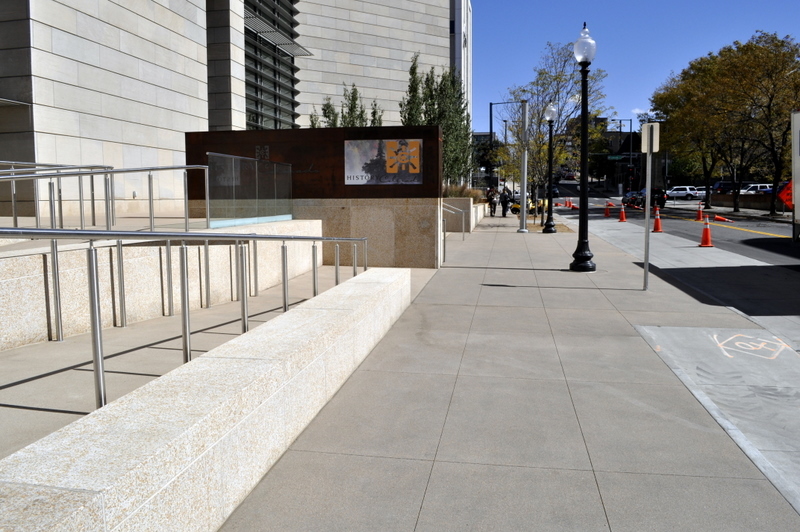 Colorado Hardscapes measured up to Hensel Phelps Construction’s high expectations. 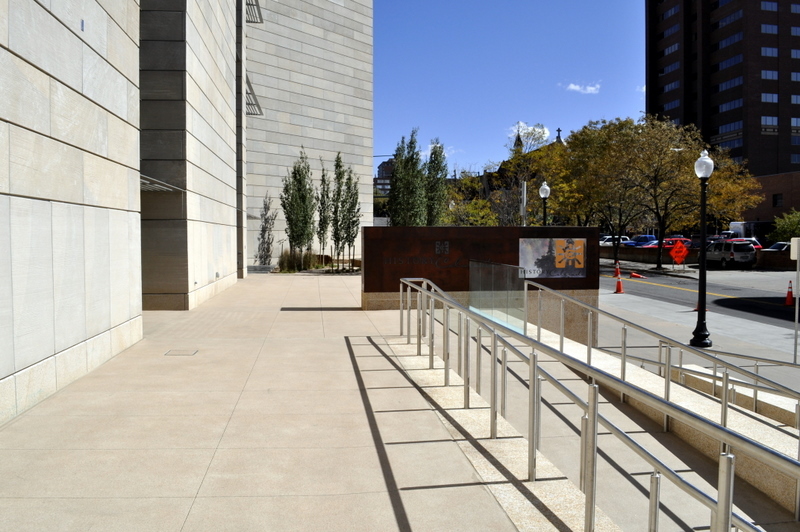 Other specialty downtown projects where Colorado Hardscapes’ Sandscape adorns the concrete paving include work at Trinity Church, Denver Performing Arts Center, and Denver Financial Center. 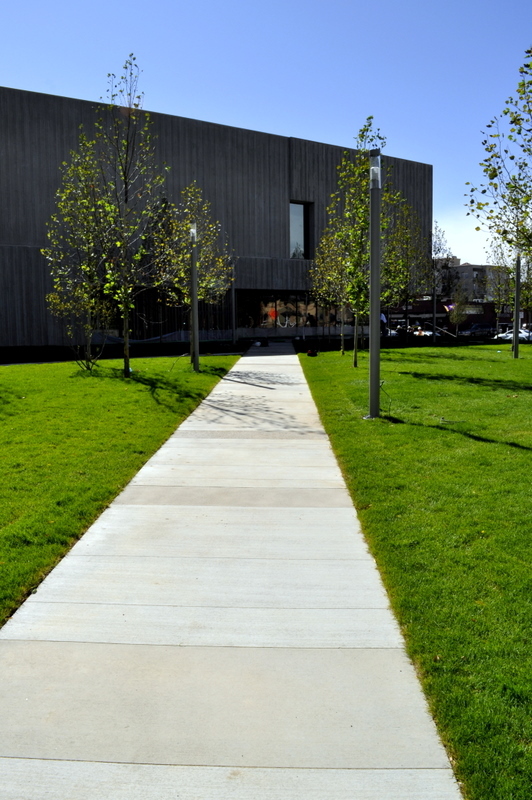 We at Colorado Hardscapes are pleased to be part of these special projects and look forward to teaming up on upcoming work in the area as well.